On Tuesday November 14th, the Boston Chapter of the American Society of Plumbing Engineers (ASPE) presented the 2017 Bernard J. McCarty Keystone Award to Paul G. Galvin and Roger D. Wardwell, P.E., CPD. The Keystone Award, named in honor of Boston Chapter Charter Member and ASPE Society Past-President Bernard J McCarty, is awarded to long time Boston Chapter members that have been instrumental in building and promoting the Boston Chapter ASPE through their tireless effort, endless support and unwavering dedication to the chapter. Paul Galvin, Market Segment Manager – Life Science with Georg Fischer has been a member of the Boston Chapter since 1987. Paul has been an active ASPE member for more than thirty years. On a national level, Paul has been a long-time member of the ASPE Advisory Committee. Paul is a well-respected technical speaker and has presented seminars on pure water and lab waste piping systems at numerous ASPE National Conventions and Technical Symposiums. On a chapter level, Paul has been the guest speaker for dozens of other ASPE chapters across the country. On a local level, Paul has been a long-time member of the Boston Chapter Board of Directors, serving as the chapter’s Administrative Secretary for years. Paul has always supported the Boston chapter, helped promote membership, provided technical expertise and unwavering leadership, has been a loyal Biennial Product Show exhibitor, and supported all other chapter functions during his tenure. Roger D. Wardwell, P.E., CPD, Partner Emeritus Bala/TMP has been an active member in the Boston Chapter since joining in 1975. 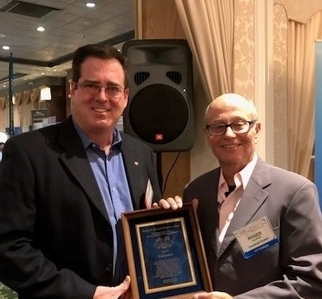 As a long time Plumbing Department Director and Partner at TMP Engineers in Boston, Roger was elected to the Boston Chapter’s Board of Directors in 1987. Roger was elected and served as the Boston Chapter’s VP Legislative in 1987, served as VP Technical the following year in 1988, and went on to serve two consecutive terms as Chapter President from 1989 to 1991. 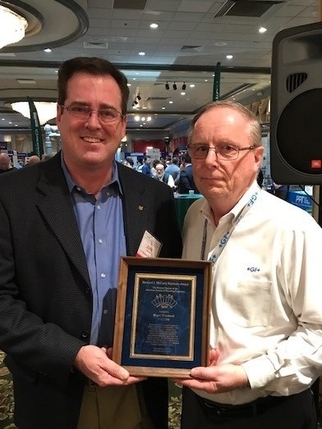 Under Roger’s leadership the Boston Chapter was awarded the ASPE Chapter Award of Merit in 1989-1990. Always an instrumental driving force and supporter of the chapter’s operations, Roger could always be counted on to help promote the CIPE/CPD exam, assist teaching the CIPE/CPD prep class, promote membership growth in the chapter, represent the Boston Chapter as a delegate at ASPE Conventions and Technical Symposiums, and be a guiding force in the early years of the Boston Chapter. In 1993, Roger took on the additional role of becoming the Newsletter Editor of the Boston Chapter and continued in that role until his retirement in 2010.